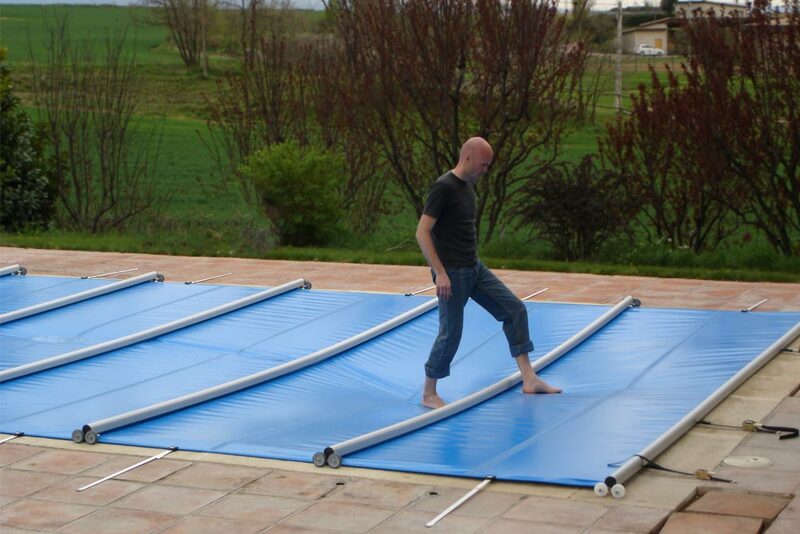 The solution for easily covering and uncovering the pool. 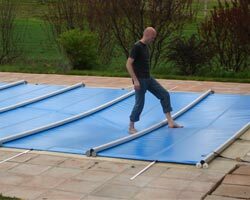 Manual with a mobile roller and motorised with a fixed roller. 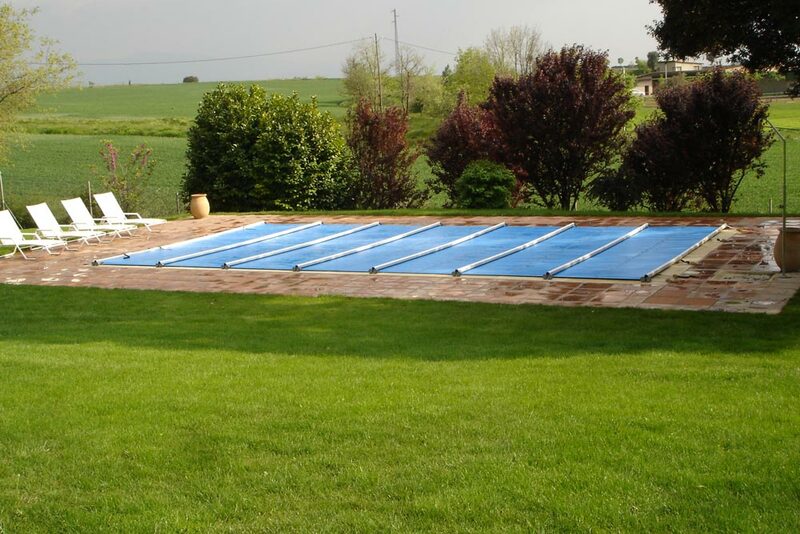 For safety and for use during the winter. 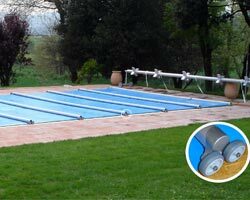 This cover has a double bearing on the ends of the profiles so that it slides smoothly without any friction. 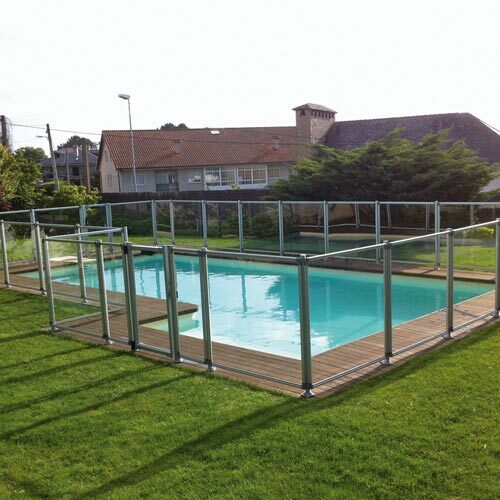 By having a double bearing, the support profiles have a high stability so that they can move across any roughness and cracks in the floor without any problems, saving it from inclines and bumps on the coping stones. 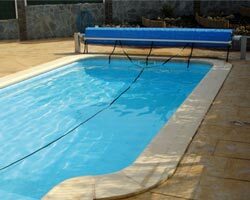 Manual system for pools of approximately 45m² and motorised up to 60m². 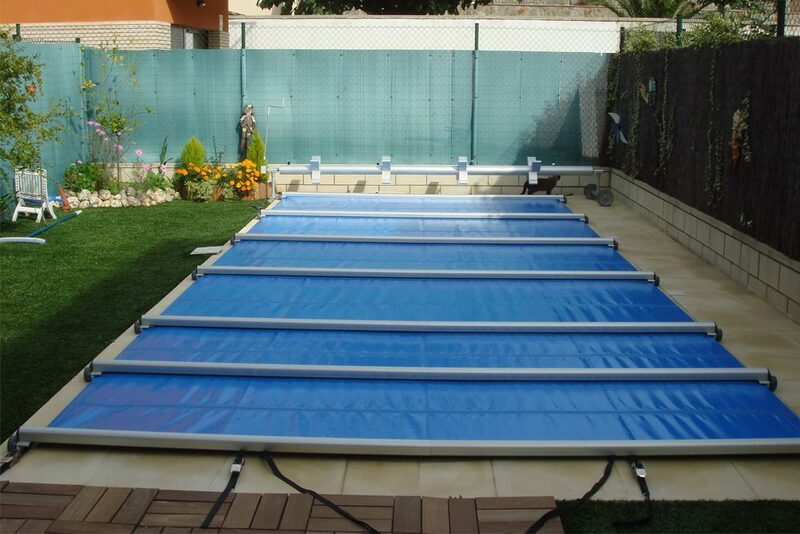 Protection from water tightness, falling leaves, insects and dirt. 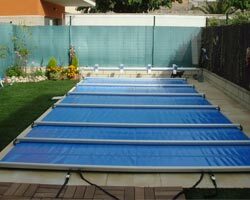 Excellent filtration of rain water through the polyester mesh strip which retains impurities. 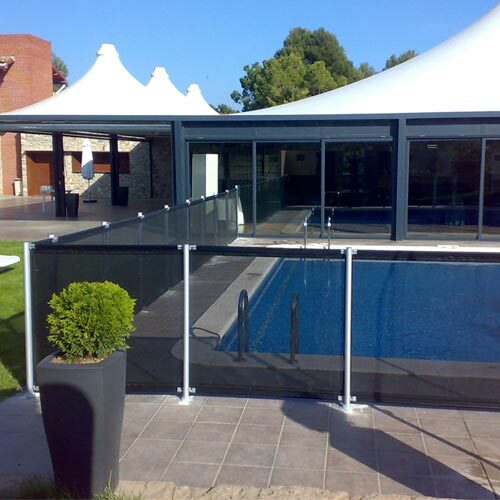 Protection from the proliferation of algae due to the opacity of the liner and filtering mesh strips which have flaps on the bottom as light protection. 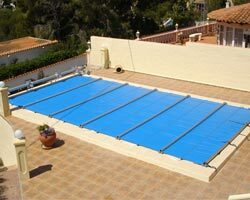 Saving on water treatment products. 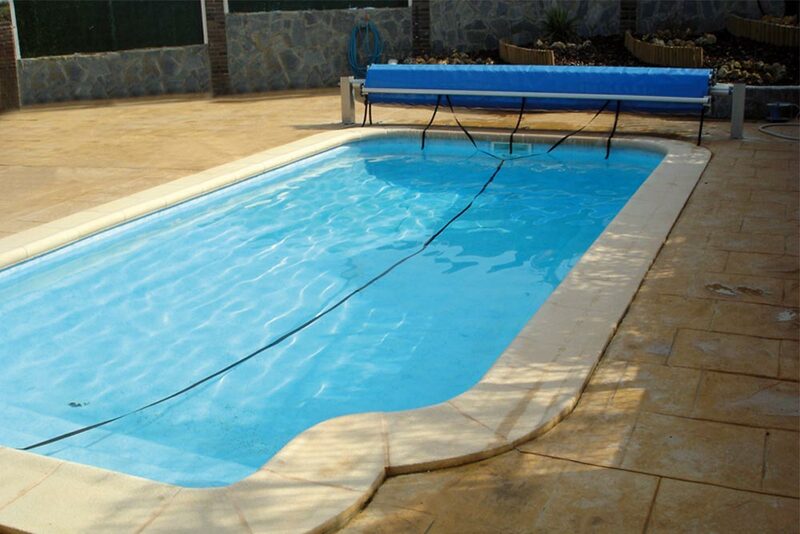 Isothermal effect which lengthens the season, increases the temperature of the water and makes bathing enjoyable. 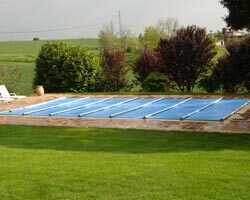 The solar action of the cover produces an interior heating. 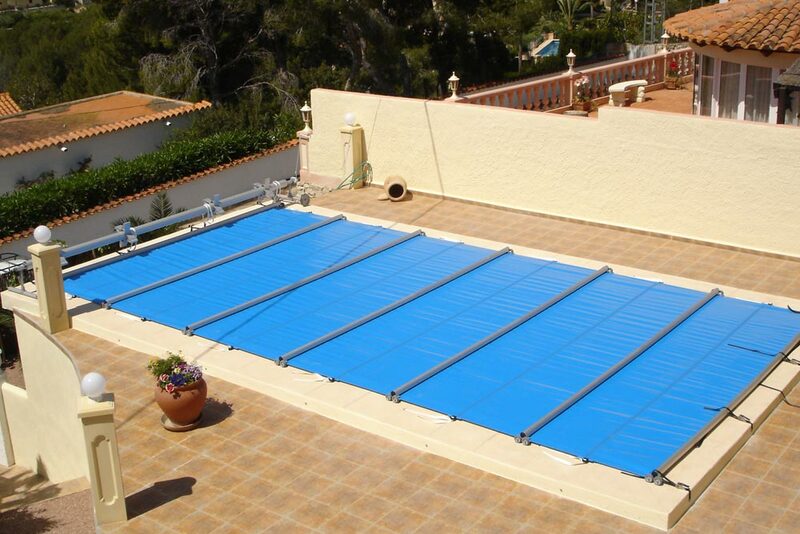 Thermal insulation during the night prevents the water from cooling. 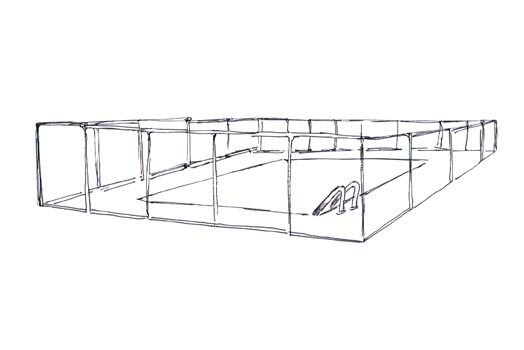 It meets the AFNOR NF 90-306 regulation and has an L.N.E. CERTIFICATE OF CONFORMITY at your disposal.